While most TV watchers should be perfectly happy with a regular remote control, there’s a certain nerdy pleasure in bringing a full-sized keyboard and trackpad into the living room. 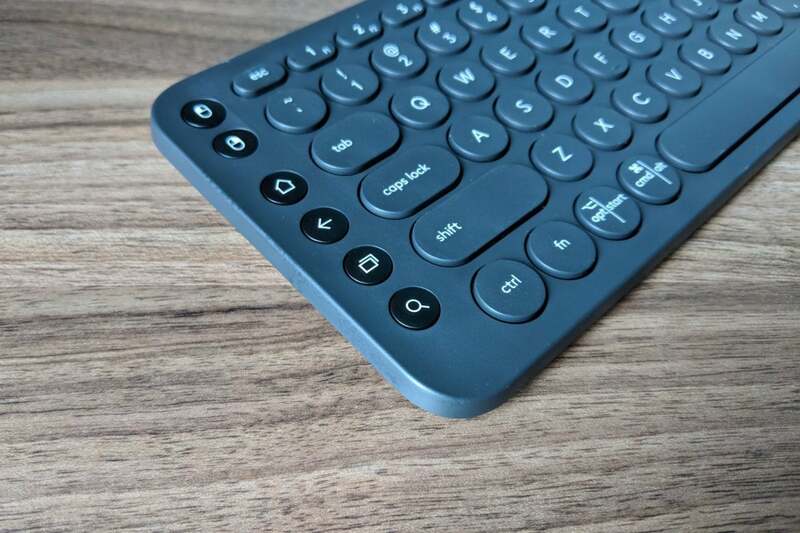 This combo is better for typing out search terms and passwords, of course, but it also helps with browsing the web on the big screen, it makes home-theater PCs considerably more usable, and it lets you use extensive shortcuts with media-center software such as Kodi. 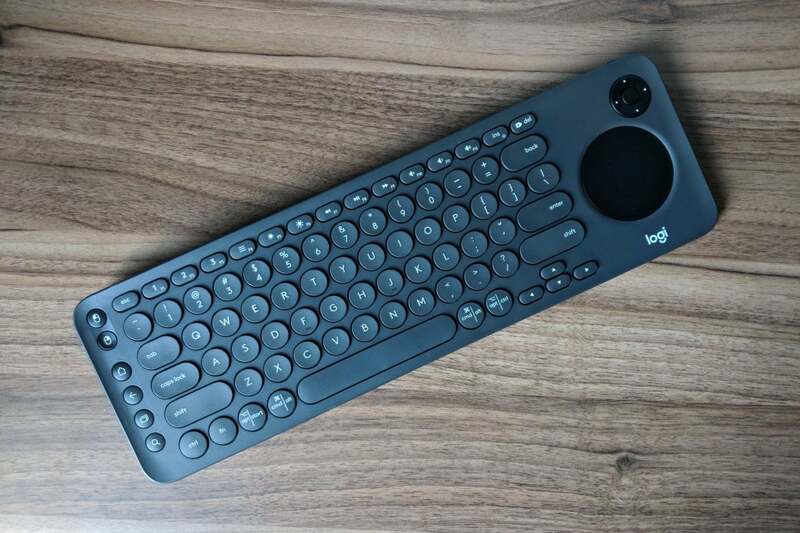 The $70 Logitech K600 keyboard is aimed specifically at these kinds of uses, with thumb-friendly TV navigation buttons, a built-in trackpad, and preset key mappings for various smart TV platforms. But for all its clever couch-friendly ideas, it’s also missing some features that would make living-room use even easier. And no matter how useful it might be, using a keyboard from the couch will always feel a little bit silly. One nice thing about the K600 is that it doesn’t require any additional software, even if you’re using it with a Windows PC or Mac. 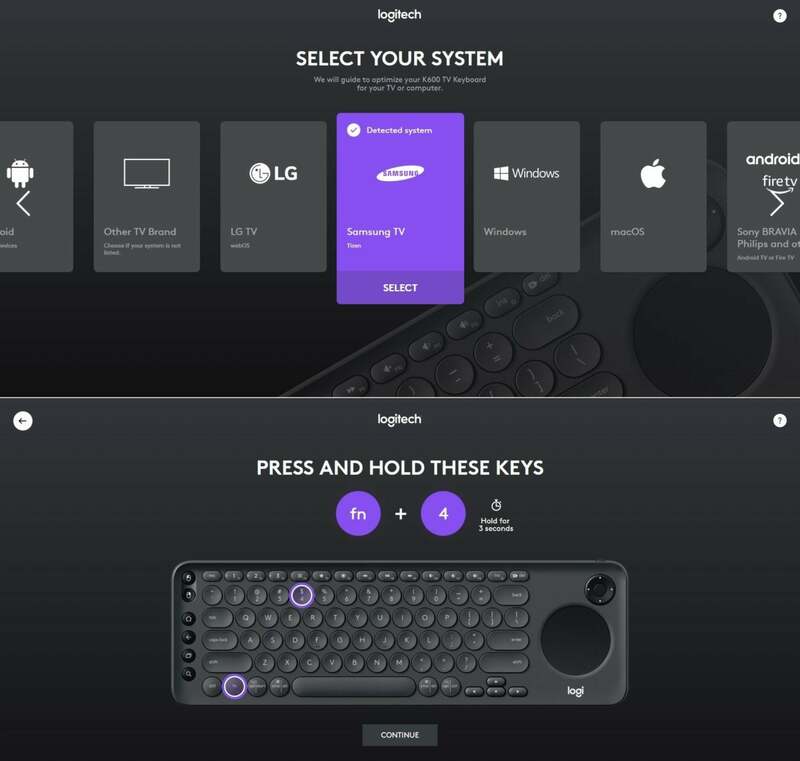 To set up the keyboard, just head to Logitech’s K600 website, select your TV operating system, then hold the Function and number key combo that appears on the screen. A tiny light on the keyboard will let you know that it’s mapped the appropriate shortcut keys. Currently, the K600 works with LG WebOS TVs, Samsung Tizen TVs, Android TV, Amazon Fire TV, MacOS, ChromeOS, iOS, and Windows. The K600 can map itself to different operating systems without any extra software. 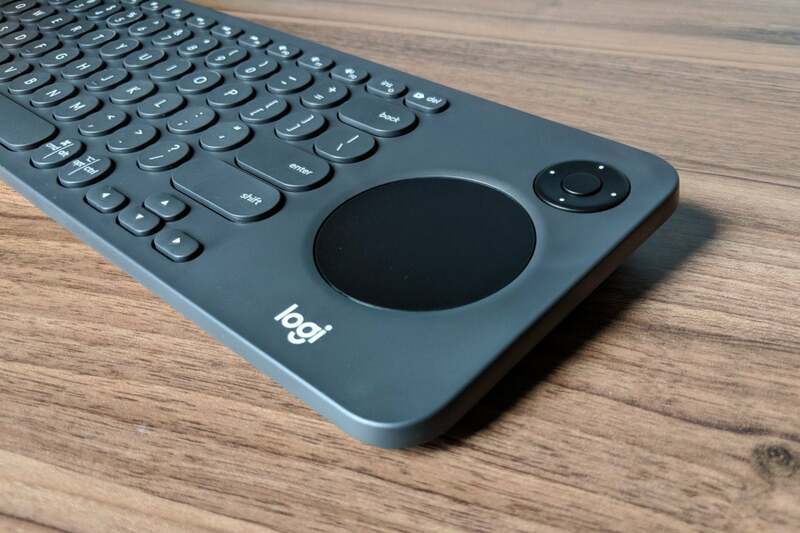 The keyboard includes a USB dongle for connecting wirelessly to most devices, and while you can also connect the keyboard over Bluetooth, Logitech discourages you from doing so. There are no Bluetooth connection instructions in the box, so I had to hunt around online to discover that you must press and hold any of the three number buttons at the top of the keyboard to begin pairing. You can pair or map up to three devices with the keyboard at once, and then easily switch between them using those number keys. Beyond the typical QWERTY keyboard layout, the K600 has a row of navigation buttons on the left for common TV functions such as home, back, menu, and search, along with left- and right mouse-click buttons. On the right side, there’s a directional pad with a select button in the center, plus a circular trackpad that supports both tapping and clicking. The circular trackpad matches up with your thumb’s natural range of motion. The circular pad might seem odd at first, but it helps reinforce the idea of gripping the keyboard around the edges with both hands and navigating with your thumbs. In the context of watching television while lounging on the couch, this actually works pretty well. There’s just one major problem: The K600 doesn’t provide a good way to scroll through web pages or other lengthy vertical menus using just your thumbs. You can use the arrow keys or directional pad, but that’s much slower than a proper scroll wheel, and it doesn’t always work if you’re editing a text field. You can swipe with two fingers on the trackpad to scroll up or down, but this breaks up the thumb-based navigation that Logitech tries so hard to establish. While I’m nitpicking, it would have been helpful for Logitech to include an infrared emitter. The K600 does have volume keys and a power button along its top function row, but those only work with the built-in functions of whatever device you’re controlling. You can’t control A/V gear this way–at least not unless it’s hooked up to your TV via HDMI-CEC–nor can you turn off just the TV if you’re using the keyboard with a home-theater PC. 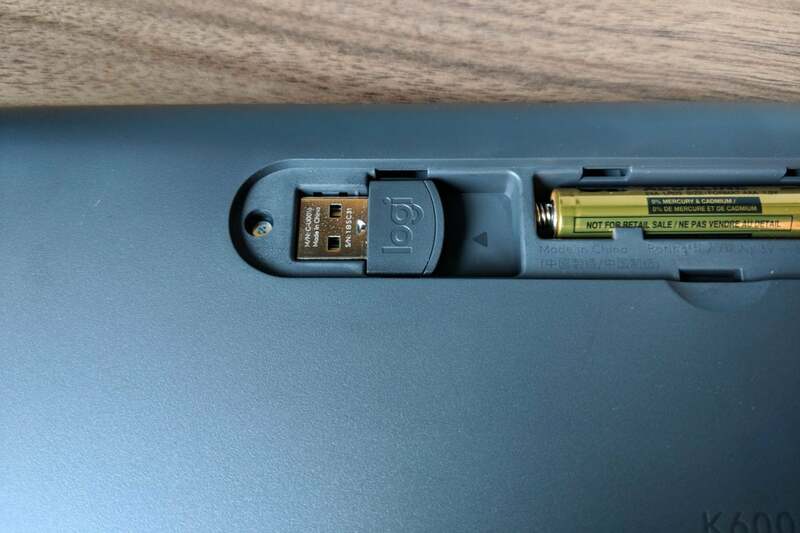 The K600 includes a wireless USB dongle, but it also supports Bluetooth. Even if the Logitech K600’s design was perfect, using a keyboard as your remote would still involve some trade-offs. You lose access to the voice controls that are built into the remotes of many modern smart TVs, for instance, and you’ll of course be wielding a much clunkier device overall. But the bigger issue is that some smart TV platforms and individual apps just aren’t optimized for external keyboards and trackpads. Netflix’s Android TV app, for instance, does not respond to trackpad input, and several Android TV apps failed to recognize the Enter key as a way to submit login information. Instead, they would re-enter the previously-typed letter, because the on-screen cursor had moved to that letter after pressing the corresponding key. Some of the design choices Logitech made in service of TV use make the K600 less than ideal as a standard computer keyboard. You wouldn’t want to spend much time using the circular trackpad with an index or middle finger, and the K600’s traditional arrow keys are frustratingly small. There are no legs on the keyboard either, so the built-in angle of incline is all you get. A row of TV navigation buttons helps distinguish the K600 from other couch keyboards. None of which is to say that the Logitech K600 is a bad product. Compared to other living room keyboards–including past ones from Logitech, Microsoft’s Wireless All-In-One Media Keyboard, and the hordes of ultra-cheap all-in-one keyboards on Amazon–the K600 has a better arrangement of buttons for modern TV devices, and its emphasis on thumb control is a stroke of brilliance. It’s just a few improvements shy of being the perfect living room keyboard for those of us who are weird enough to want one.